08/2018: There has been a recent increase in vandalism to buildings within a National Historic Register District, and another vacant structure recently lost within the same township. 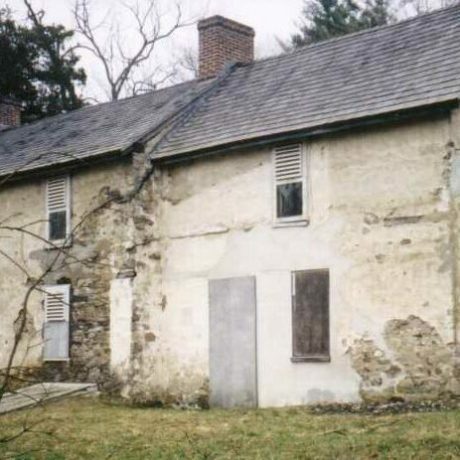 PNJ has been working with the National Trust for Historic Preservation to move legislation forward to address the National Park Service (NPS) deferred maintenance backlog. The National Trust has endorsed The Restore Our Parks Act in the Senate (S. 3172) and the Restore Our Parks and Public Lands Act in the House (H.R. 6510). Currently, there are no co-sponsors to these bills from NJ. You can contact your Congressional leaders with these automatic letters to ask for House co-sponsorship and Senate co-sponsorship – and share widely with your networks! 07/2010: Little has moved forward on the NJ side of the Delaware Water Gap National Recreation Area (DEWA). Many of the structures sit vacantly and are victims of vandalism and further deterioration. The leasing program for historic houses was put on hold a few years ago and most of the staff that oversaw the historic structures, their maintenance or protection has either retired or been cut back. Right now there’s a small group of private individuals, working either with or through the historical societies of the towns that are impacted by DEWA, and a few individuals from outside this area. The park is planning two phases of upcoming demolitions of excess structures they deem “beyond repair”, so volunteers have been reaching out to New Jersey legislators to try and prevent this from happening. When the Tocks Island Dam project was abandoned in the 1970s, a number of archeological sites, houses, farms, barns, and silos became part of the Delaware Water Gap National Recreation Area (DWGNRA). Many of these properties are included in the National Register of Historic Places, and others are either eligible for it. Unfortunately, the National Park Service has had mixed success in protecting and preserving the resources in the Park. Many of the houses have been vacant for decades. Although the Van Campen Inn and Millbrook Village received some attention, many other buildings show the effects of long neglect. Some have suffered vandalism and others, such as the Decker-Teller House, have fallen victim to arson. A recent Facilities Management Report identifies some excellent goals and strategies for achieving them, but the NPS program to match vacant properties with viable leasing partners has had mixed results. Buildings at the Peters Valley art center and in the town of Walpack are in use, but many others remain vacant or underutilized. PNJ believes that if the historic resources of DWGNRA are to be preserved, the government must increase funding for interpretive staff and historic properties management. The present administration committed itself to increase the funding of the national park system, but recent newspaper reports indicate that park superintendents have been asked to reduce services without revealing they are making cuts. The federal government must back up its words with deeds. DWGNRA needs an increase, not a decrease, in funding.